Former EA chief exec John Riccitiello has joined Unity Technologies as its new CEO. 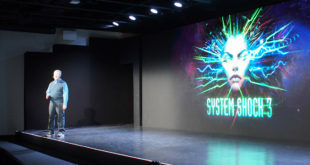 Previous CEO and Unity co-founder David Helgason has stepped back from the role but will continue to work at the firm as executive vice president in charge of strategy and communications. "I’m so proud of everything Unity accomplished in the last decade but now it’s time to look forward to an excellent future," said Helgason. "Our mission is an important one, so I’m incredibly happy that John has agreed to lend his formidable experience to the role of CEO at Unity. 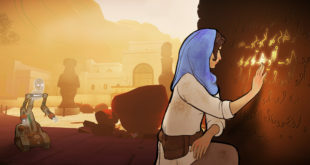 "We’ve had the chance to work together over the last year-and-a-bit and come to recognise how similar our views are on the importance of the democratisation of development to a thriving developer ecosystem and healthy games industry. We’re in great hands." Riccitiello was already a member of the Board of Directors, having joined in November. In addition to his time in charge of EA, he has also advised several start-ups including Oculus VR and Syntertainment. He added: "Unity has been a hugely positive force in the games industry for years. Now it’s my incredible fortune to have the opportunity to help guide Unity going forward. 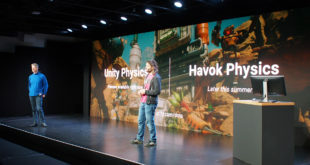 "Unity is more than a great engine and packages of services, it’s an amazing and diverse community of developers, many of which are changing the way we think about game design and production. Unity’s mission – to democratise development – is an important one that I’ve very happy to help drive forward." Unity has been facing rumours that it was looking to sell the company in recent months, although the firm later stated that is "has no plans to sell".